Since 2003, Althea Halchuck has been the principal of Dispute To Resolution, a firm dedicated to mediating and arbitrating civil and community disputes. She has extensive training and experience in every conflict arena and has mediated and arbitrated hundreds of disputes. Additionally, Althea advocates for seniors, helping them manage adult family conflict at the end-of-life. In 2012, she earned a Health Law Doctorate (EJD) from Concord Law School and her degree provides an in-depth understanding of relevant laws and regulations around thorny elder and end-of-life issues. She also has advanced training in Bioethics and for several years has provided ethics consultations and analysis for a California hospital. Most recently she earned the designation, Certified Thanatologist: Death, Dying and Bereavement from the Association for Death Education and Counseling. 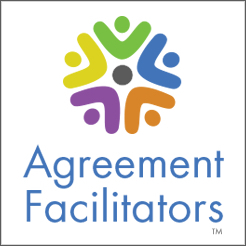 Althea has combined her skills and experience in mediation and dispute resolution with her end-of-life training in order to help families find peaceful resolutions for their dying loved ones. A pilot program started in 2004 in the Los Angeles County Superior Court (LASC) called the “Civil Harassment Mediation Program” (CHMP). The premise of the program is to mediate civil harassment restraining order (RO) cases, typically those that involve neighbors, former friends, co-workers, etc., after a temporary restraining order (TRO) has been issued but before the final RO request is heard before a judge. The goal of the pro bono mediator is to help the parties sort through their issues and come to an understanding, i.e. a settlement that will either vacate the TRO or come up with terms that satisfy both the parties and the court. The goal is that there will be no more threats or harassment and, hopefully, a solution allowing them to move on with their lives.